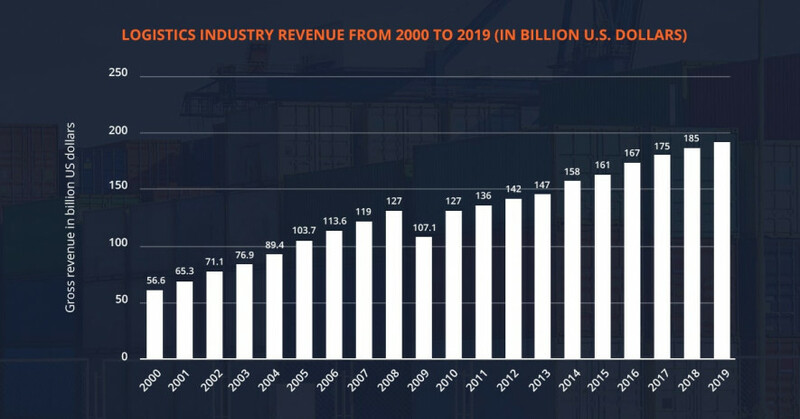 Logistics industry made a significant growth starting with 56 billion dollars in 2010 and reaching 185 billion in 2018. It is expected to boost the figures to 195 billion dollars in 2019. The bright and colorful picture where everybody is happy and satisfied. There is, however, a fly in the ointment. According to the research of DC Velocity (leading multi-media source of logistics and supply chain information), 50% of organizations claimed that their logistics software application failed to give the expected results. The reasons for such data are diverse and vary for each definite case. Nevertheless, one of the main causes named is that the application is overpromised and underperformed. We have interviewed the IT specialists, who worked with different logistics projects and they defined the main technical issues that get in the way of the successful application for logistics. The reason is that applications are integrated with end-user systems and order statuses are not always correctly and synchronously displayed or changed. Solution. In this situation, it is better to cooperate with professional testers who know where to look for the cause and do not check the entire system. The strategy is to work out the maximum number of scenarios and trace the cause of the error. One more problem is that it isn’t always possible to track the cargo in real-time. The issue arises when the GPS tracker is added to the shipment which is then delivered by different means. Solution. In this case, testers should reproduce the sequence of actions and find the moment when the system failed, and the status was not updated. Solution. API-level testing should be performed. Testing engineers check the correct migration of data from/to a third-party system by sending requests through the API. Solution. The way out is to check route logs and verify the completeness and correctness of route logging. Another difficulty is to synchronize web and mobile applications. Solution. The peculiarity of testing is to check the correct synchronization of all applications, and simultaneous display of all changes for all participants in the process. As well as correct synchronization after working in offline mode or with a weak mobile connection. One more issue to be handled is managing the access for users with different rights. Each participant in the logistics process has different levels of rights and access. Solution. When testing this functionality, the first thing to check is the correctness of the role model, another one, is to verify the lack of access to personal data or information on other orders. Will Microsoft Maluuba make artificial intellect ask questions?